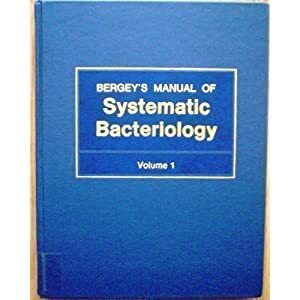 Welcome to the Bergey's Manual research guide. Use the Germanic hard "G" as in "game," not the French soft "G," as in "giraffe." The last syllable rhymes with "key." More information and a couple of external links about the Manuals and Trust. The latest edition of Bergey's is located on the first floor in the Reference collection. These copies cannot be checked out. The older edition of Bergey's is located on the second floor of the library. It can be checked out.